Incorporates RFID for tooling and materials input. Incorrect materials or applicators are blocked by the system. Maintenance regimes are enforced. RFID technology ensures that only the correct materials and tooling are used. The real-time monitor shows every press on the system and clearly displays production data as it happens. Tooling maintenance and usage are tracked with Engineering Centre, helping to work with industry standards such as TS16949. Maintenance schedules are enforced and the system will block any under maintained or over forced tooling from being used on any crimping press connected to the system. As the system is web based the information can be made available anywhere in the world, making this a powerful strategic management decision-making tool. Tracking of finished products back to stores with full traceability of the manufacturing process. The G3-RFID Crimp Force Analyser brings total control and traceability to production. It has all the features of the new G3+, a high accuracy Crimp Force Analyser, complete monitoring and control of all CFA systems on the network, great reporting and web based interface. 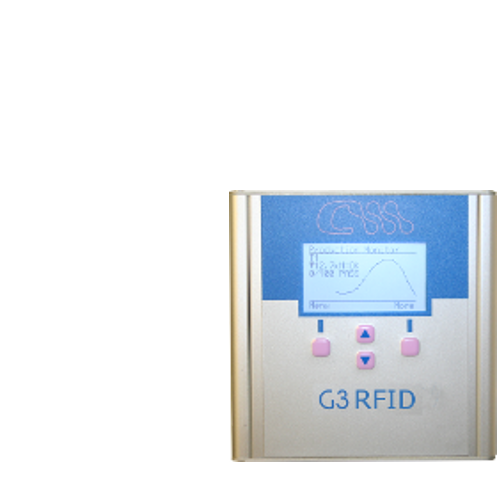 The G3-RFID closes the loop on traceability and control. 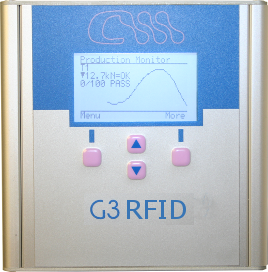 The G3-RFID brings full automation of the set-up of the Crimp Force Analyser from a known standard (No operator involvement required). Production control can send jobs straight to the press and with 4 RFID channels tracking Tooling, Terminals and Wire, only correct tooling and materials can be used on a specified job. All production data is collected for full traceability of every job from start to finish, complete with full production reporting. The Engineering Centre software keeps a record of all tooling used in production. Multiple separate parts can be individually scheduled for routine maintenance or service checks on each applicator. 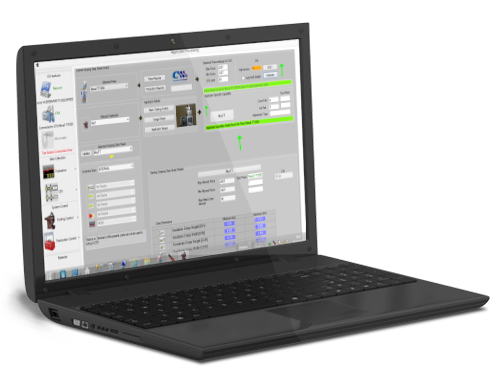 The system can alert supervisors when maintenance is drawing near for any tooling in the system. Should an over-force be detected which could damage the applicator, the system will block the applicator from being used on any press in the system, until such point the applicator has been inspected and marked good. This stops potentially damaged tooling being used in production. The press is also blocked if tooling is out of its scheduled maintenance regime. Every event that occurs with an applicator is automatically logged, building up a comprehensive maintenance record and history of all applicator maintenance. For more information regarding any of our products or services please do not hesitate in contacting us today.